Looking to cut down on your plastic waste? 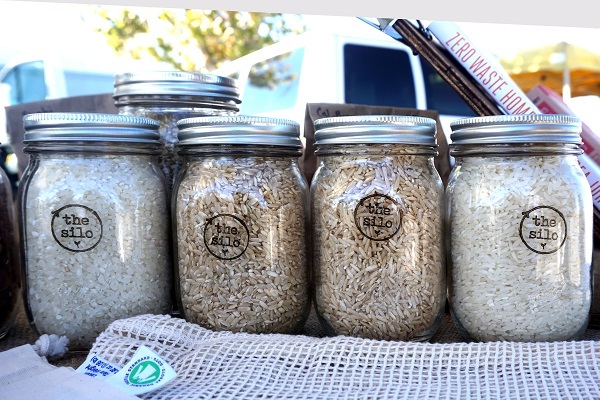 A new farmers’ market booth in Sonoma County aims to be a one-stop shop for zero waste starter kits, American-made Ball jars, reusable cloth bags, and Northern California-grown bulk dry foods, including beans, rice, flour, popcorn, quinoa, pasta, and herbs. 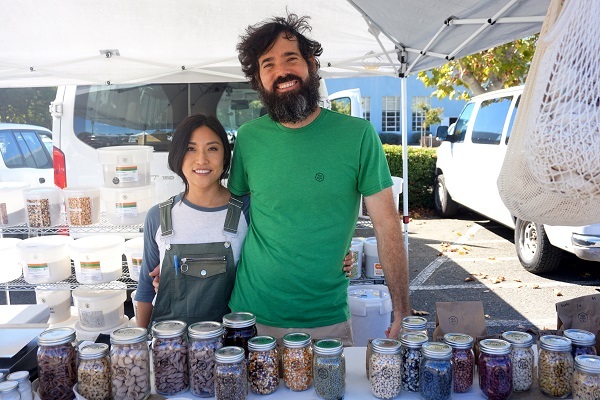 Launched in April 2018, The Silo is owned and operated by Janice Luke and Andy Cain, two Silicon Valley tech employees with a passion for zero waste. Still small, the company is poised for growth as increasing numbers of people comprehend the imperative to cut down on the astounding amount of plastics in the environment. I sat down with the couple to find out more about their journey to becoming Zero Waste enthusiasts. 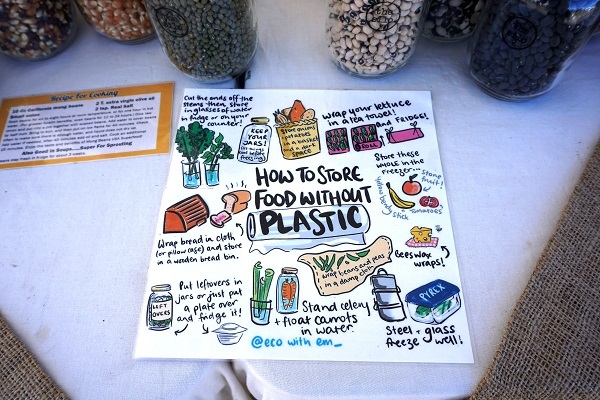 How did you become interested in the Zero Waste movement? Janice: Andy and I worked high-stress jobs in the aerospace industry in Silicon Valley for about ten years. We wanted to take a break and connect with the world around us. We quit our jobs and began traveling the world on June 2, 2016. We ended up traveling for a year and a half to five continents and 27 countries, including South America, Southeast Asia, and Cuba. On the trip, we were really impacted by the amount of trash washing into the waterways. It was mainly Western packaging: Doritos, Coke bottles, McDonald’s wrappers. A lot of these countries don’t have the infrastructure to deal with recycling, so it ends up either burned or going into the ocean and earth. The West introduces the packaging to these countries, but we don’t educate on how to deal with the recycling part. We were also living out of our backpacks and became highly aware of all of the single-use packaging we were using and throwing away. We wanted to minimize our waste as much as possible. Andy: While we were still traveling, Janice had the idea of starting a Zero Waste grocery store. We kept discussing it, and I really latched on to the idea. Janice: Andy has an entrepreneurial mindset. When we got home to the Bay Area, we started making phone calls to farmers, pasta makers, the health department, doing our research. We found that Sonoma and Marin were the most receptive to the idea and the easiest to work with. What have been some of your biggest challenges to launching the shop? Andy: We are a small shop, so sourcing can be a challenge since we don’t purchase in huge quantities. We buy about 200 pounds or less at a time. We do that to keep products fresh. Finding organic beans has also been a challenge. Any advice for people interested in cutting down on their waste? Janice: We are still consistently working at it ourselves; it’s a journey. You can start by using beeswax wraps instead of ziplock bags. There are so many great alternatives out there. Use your old Tupperware until it’s done and replace it with glass. Biggest rewards of starting The Silo? Janice: The fact that we are improving the world we live in and giving back to people. I believe we are making an impact and helping the environment. And we’ve changed our own eating habits. Our health has gotten a lot better. Andy eats much less meat. We don’t get sick as much. We feel healthy and good. Andy: Giving people the opportunity to become more cognizant of waste. 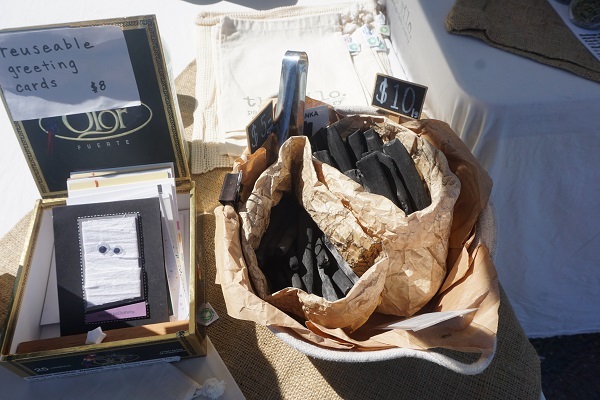 Want to learn more about the Zero Waste movement? Find The Silo year-round at Santa Rosa Community Farmers’ Market and Petaluma East Side Farmers’ Market.